Sea Shepherd crew were honoured to host two of rock’s greatest legends, Aerosmith’s Joe Perry and Steven Tyler on board Sea Shepherd’s fleet in Williamstown, Melbourne, Australia. Steven and Joe were treated to an in depth tour of three of Sea Shepherd’s ships, the Sam Simon, Bob Barker and Steve Irwin. The crew swapped various campaign and marine conservation topics over lunch with Steven and Joe, which followed an experience in one of Sea Shepherd’s fast boats. Having Steven and Joe on board was such an uplifting experience for the crew. By selflessly speaking up for marine species, they’re shining a much needed spotlight on the serious state of the oceans. 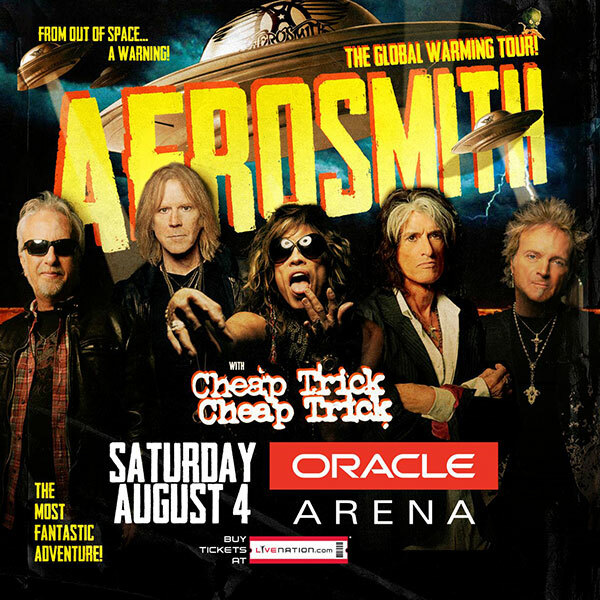 The whole Sea Shepherd crew were invited as VIPs to come and see Aerosmith perform at the Rod Laver Arena in Melbourne. The Melbourne gig was part of their environmentally themed ‘Global Warming tour’. There was a hint that something special was planned for the Sea Shepherd crew. Well, Aerosmith did not disappoint with a performance that brought the house down. The highlight however was the just prior to the song “Living on the Edge” Steven Tyler stated that he and Joe had one of the most amazing experiences during the week by visiting the Sea Shepherd fleet and crew in Melbourne and that he wanted all the crowd to remember the name, “Sea Shepherd!”. 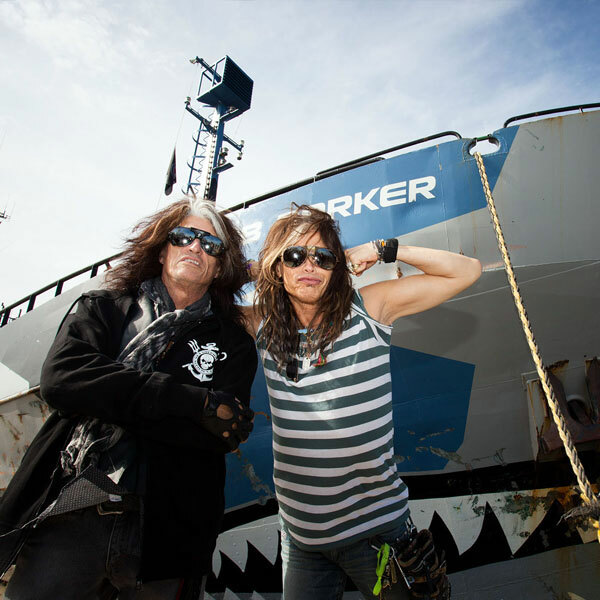 Then up on the big screen to the 15,000 plus capacity, came a video put together by Aerosmith, showing Steven and Joe’s visit to the Sea Shepherd fleet. Steven yelled “where is my Sea Shepherds” as he pointed over to our group with the spotlight to follow, as the song kicked off to the roar of the crowd and the Sea Shepherd crew punched the air with excitement.